Welcome to EZ Limit Guide Service! My name is Greg Brush, and I started this whole adventure back in the late ’80’s. To be honest, the name was just something I thought up with not a lot of forethought. Now after 30 years in the business, I know better than anyone that no one can realistically promise an easy limit…right? However, what I will guarantee is the finest equipment, a knowledgeable and courteous guide and 100% effort throughout your charter! And if you do have a “hard” time reaching you’re limit, I’m happy to take a little ribbing. But we’ll do our best to not let that happen! EZ Limit Guide Service is a small, custom charter outfit that remains focused on attention to detail and personal service. 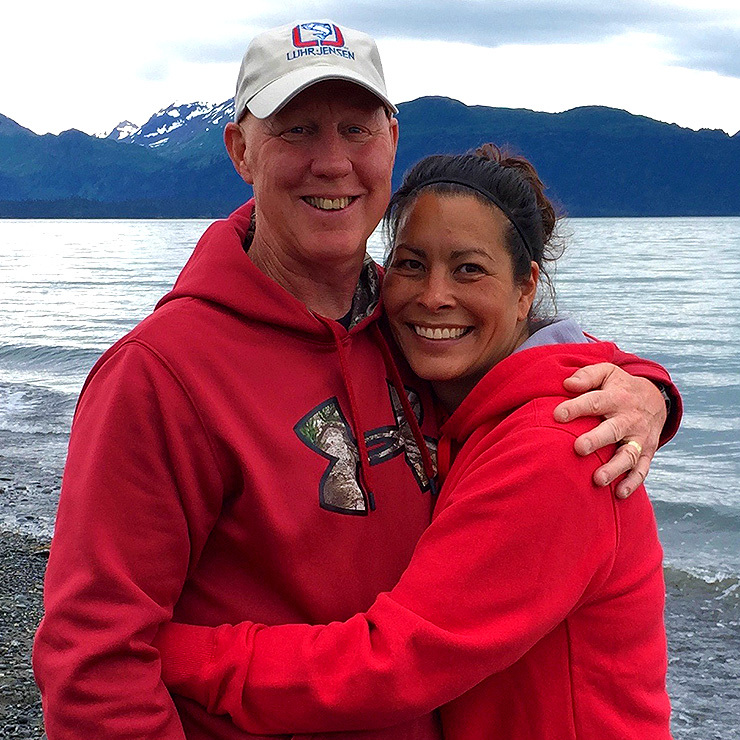 We are big enough to take care of your every Alaska fishing need, but small enough to still care. Just like we were 30 years ago, we’re still owned and operated by my wife Sherri and I, and we are a true “mom and pop shop” if there ever was one! We live in Alaska year-round, and when you call or e-mail, you’ll get Sherri or I. Period. We’re not like the other services where you get an out-of-state booking agent or answering service that isn’t familiar with Alaska or its salmon! We know the waters, the fish, and we will take the time to patiently and honestly explain every detail regarding run timing, species availability, methods employed, success rates, typical weather, lodging choices and more. We believe that our commitment to provide a one-on-one relationship with our clients is what makes our charters the best you can find, and the reason friends keep coming back year after year! I am a local resident guide, state licensed and fully insured. I am currently backed and officially sponsored by numerous major fishing companies, including Shimano, G.Loomis, Power Pro Braid, Ande Monofilament, Rapala, Luhr Jensen, and Gamakatsu hooks. For your safety and peace of mind, I am also EMT trained and current in First Aid and CPR. When we hit the water, count on serious fishing! My guides and I pride ourselves on putting forth the extra effort necessary to change the occasional slow day into a fishing success. 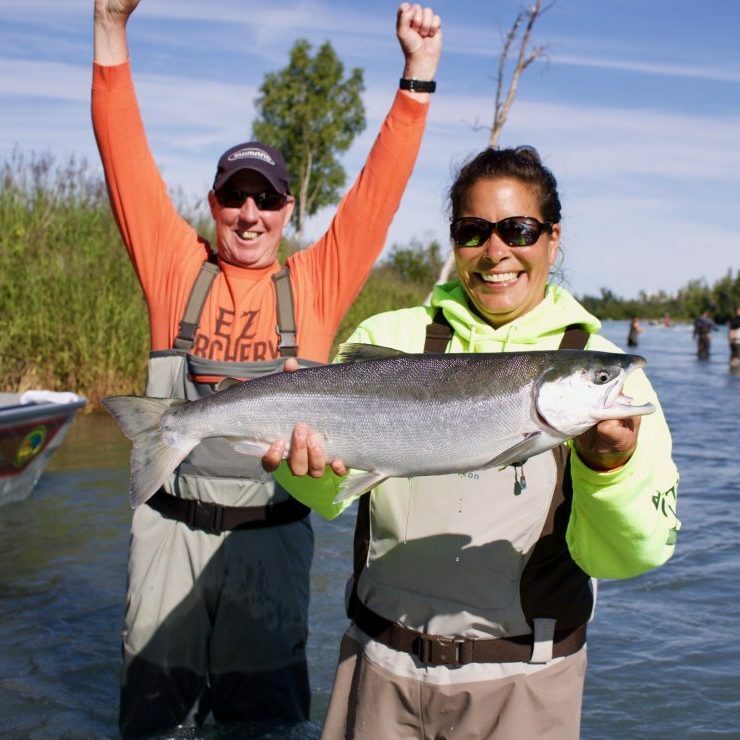 When I started EZ Limit, I believed that a knowledgeable, hardworking guide can make all the difference, and I still hold that belief to this day – even after 30 years! I never give up, nor do the hand-chosen guides we use. With EZ Limit, you will get 100% effort from each of us throughout your charter, but we also vow to “keep fishing fun” because that’s what fishing is all about! 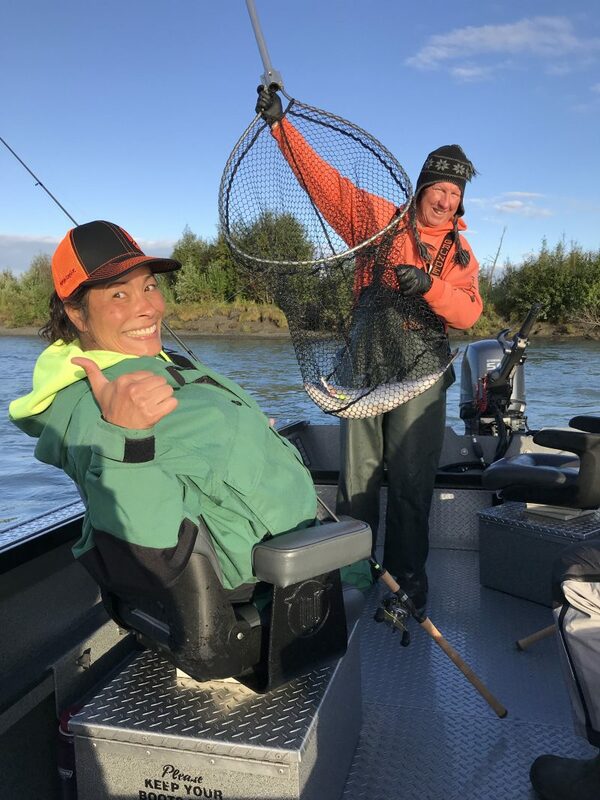 Do your research, call around, check our references, and you will quickly discover why EZ Limit is one of the best Alaska fishing outfitters you can find! And we’re STILL a small “mom and pop shop”!